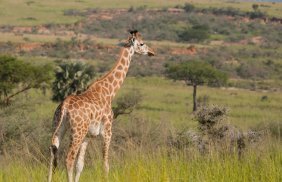 The Kibale Natinoal Park is one hour away from Fort Portal. In this park you will find plenty different primates. 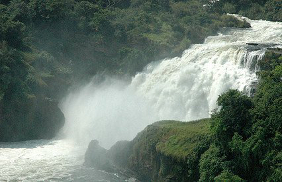 Bujagali falls has greatly attracted many safaris to Uganda due to its wonderful tourist activities that are carried out. As in many African countries, dance is an important part of ceremonies and special occasions. 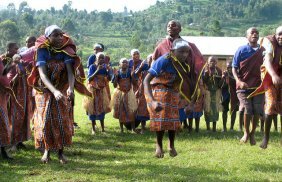 Uganda’s different peoples have their own special dances. Choosing where to live and spend your time is one of the most important decisions you can make and Europa Suites and tours Ltd offer the perfect choice for your accommodation. Our core beliefs of care of the land, care of the wildlife and care of the people drive all that we do and i encourage you to click on the conservation & community tab on this site to find out more about this critical part of our overall philosophy. We love the advantages of top quality family resorts and the privacy of serviced private villas, the warm welcome of guest houses and the intimacy of exclusive safari lodges. We know Africa’s best luxury hotels, safari camps and villas because we have personally tried and tested them. We don’t own the accommodation we recommend, which means you can count on independent, expert advice when you book a safari through us. Ready to be inspired? Browse our favourite luxury safari accommodation below or view all Africa accommodation. We had great time with this agency. Our travel vacation was brilliant and we don’t regret for money spent. We spend 2 weeks in Uganda and thanks to this agency everything went fine and without any problems. We can’t wait for our next trip there. We passionately believe in what we do and regard ourselves as one of the world’s leading luxury experiential travel & safari companies.